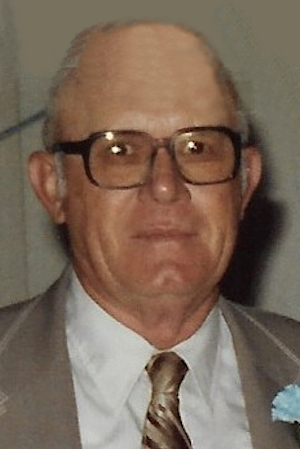 Obituary – Zemp, Edwin Henry « Perry High School Alumni Association, Inc.
Edwin Henry ‘Ed’ Zemp, 76, died Wednesday, March 7, 2001, at Perry Memorial Hospital. Services will be 10 a.m. Saturday at First Christian Church, Perry with Pastor Roy Fleshman officiating. Interment will be at Billings Union Cemetery under the direction of Brown-Sisson Funeral Home. He was born March 19, 1924, southwest of Morrison to Henry and Sue (Bamberger) Zemp and graduated from Perry High School in 1943. He married Imogene Coker May 9, 1982, in Morrison. He was a machinist at Conoco in Ponca City for almost 29 years before retiring. He was a charter member of the Elks Lodge and a member of the S & D Sunday School class of the First Christian Church. He was preceded in death by his parents Henry and Sue Zemp, sister Lorene (Zemp) Robinson and son-in-law Judge Neal Beekman. 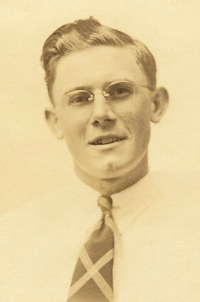 Survivors include his wife of the home; three daughters, Diane Beekman of Ponca City, Connie Dunagan and her husband Eddie of Wagoner, Sheila Conner and her husband Dale of Ponca City, Janet Bales and her husband Albert of Morrison; one son, Raymond Coker and wife Flora Zell of Perry; 11 grandchildren, 15 great-grandchildren; several nieces and nephews and first cousin Gerald Krauleidis, who lived with the Zemp family as a child. Memorials may be made to the building fund at the First Christian Church, Perry.